If there was any doubt that 2013 was going to be the year of the educational tablet, this week's news that Sony was launching a tablet in education program would remove it. It's called the K-12 Education Initiative, but it's less of a program to develop and support the software required for an educational tablet than it is a marketing program with a goal of getting Sony's tablet hardware into schools. Unlike some of Sony's smaller and more nimble competition, Sony won't be releasing a new tablet. Instead the K-12 Education Initiative is based around the Xperia Tablet S, the family focused tablet that Sony launched in December 2012. This tablet is intended to be an iPad competitor with a 9.4" screen. It runs Android 4.0 on a Tegra 3 CPU with 1GB RAM, 16 GB storage, and an 8MP camera. The tablet normally retails for $400 but is going to be sold at a discount to schools. Bundled into that purchase price will be the additional services and support from Sony that the schools will need for long-term success. Educators will also be able to access the Sony Education Ambassador (SEA) community, a new free website that Sony launched as part of the K-12 Education Initiative. This online destination is intended to provide solutions for educators looking to implement technology in the classroom. 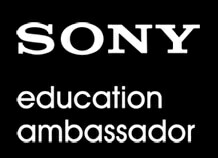 Sony mentions in the press release that a group of distinguished teachers, IT managers and specialists across the U.S. have been tapped to be Sony Education Ambassadors, and as SEAs they will foster a dialogue about how technology can enhance student learning. Resources on the SEA website range from instructional videos to lesson plans that align with Common Core State Standards. Of course, one thing Sony leaves out of the press release is that anyone can access the SEA website, including the 99.9% of teachers and parents that don't own a Sony tablet. So Sony has a me-too tablet in education program. That's mildly interesting, but aside from confirming that this year everyone is going to obsess about tablets in the classroom I'm not sure it means much. In some ways it is a good thing that Sony is basing the program on an existing tablet rather than developing one from scratch. That both limits their investment, which in turn reduces costs, but it also expands the user group that can help educators. 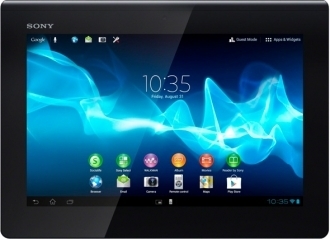 Any teacher using the Xperia S in the classroom will be able to search Google for solutions to an issue with the tablet and possibly find a forum post written by a consumer that had already encountered an overcame the problem. I just wish Sony was using a less expensive tablet; the Xperia S is more power than students will likely need. A less capable tablet would also cost less.